Integration is becoming more and more complex with faster pace of innovations, not just here at SAP Ariba but even with the customers who are reinventing their business processes to achieve agility and speed in how they collaborate and do business today. As the Solution Manager-Integration for SAP Ariba, its my duty to help customers understand the integration capabilities of SAP Ariba and with this post I want share SAP Ariba vision for a simpler integration approach with the cloud and in hybrid environments. Integration is something that everyone needs but no one really talks about. Synchronous system-to-system integration is meant to keep SAP Ariba information in-sync with the buyer or supplier back-end ERP. SAP Ariba currently supports multiple methods to accomplish this: ITK, Cloud Integration Adapters, Business Suite AddOn, as well as our newest offering of the Cloud Integration Gateway (SAP Ariba Cloud Integration Gateway) for Buyers and Suppliers. SAP Ariba Cloud Integration Gateway, enabled by SAP Cloud PlatformIntegration, provides Integration as a Services with a unique cloud-based integration solution with prebuilt standard integration content and lot of features to provide a Self-service, Reliable and Simplified Integration experience. SAP Ariba Cloud Integration Gateway is used in conjunction with a very lightweight add-on to SAP ERP or S/4 HANA On Premise that is easily downloaded, installed and updated from the SAP Marketplace. SAP Ariba Cloud Integration Gateway already supports 200+ (and growing) standard integration touchpoints (as of June-2018). More than 450 suppliers (as of June-2018) have adopted, many of them in a self-service deployment and are live in production. 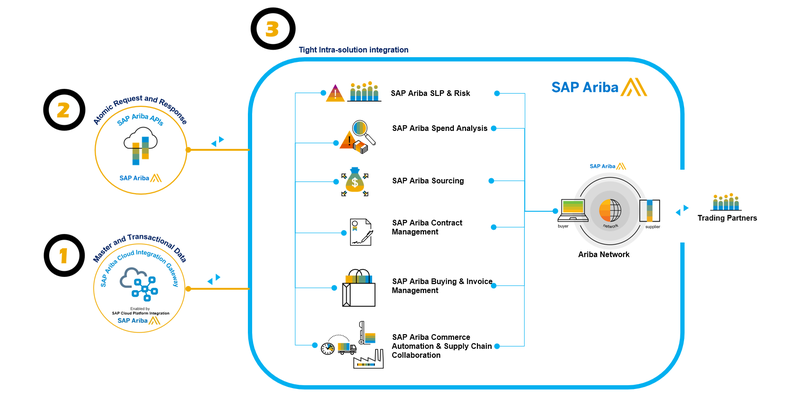 And SAP Ariba Cloud Integration Gateway provides a single common integration approach for all integrations for the SAP Ariba Strategic Sourcing, Operational Procurement, and Supply Chain Collaboration portfolio of SAP Ariba solutions. 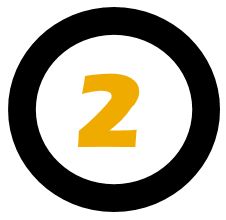 Enhanced Business Process Integration is achieved using the over 233 (as of June-2018), and growing, APIs across the SAP Ariba Product Suites and Ariba Network using File Channel, SOAP or REST methods. SAP Ariba provides an easy-to-use Developer Portal to discover, learn, build, test, and deploy applications using the REST APIs. With this vast array of available SAP Ariba APIs, Customers can integrate with and leverage their existing investments in custom processes or to integrate with new innovate solutions that provide them with a competitive advantage. Finally, the SAP Ariba Solutions are tightly integrated with one another. SAP Ariba has built its suite of solutions through internal development and not acquisition of point solutions and hence our suite of applications do in fact come with native out of the box integrations between each solution without need for customer development or 3rd party integration tools. Spend Analysis report data integrates to Sourcing, which is connected to Supplier Lifecycle and Performance for preferred supplier & qualification status, and pushes sourcing award details at the line item level to Contracts, all of which integrate natively to Guided Buying and Buying & Invoicing to enforce detailed line level compliance to Strategic Sourcing activities. The suite also natively connects to the Ariba Network which allows for seamless collaboration with Suppliers. SAP Ariba continues to innovate on this tight intra-suite integration, with the inclusion of the newer product offerings. Additionally, SAP Ariba is unifying its master data and supplier approach with unified records across the entire suite of products allowing all of the product offerings to take advantage of consistent and enhanced information maintained from within each product offering and visible to the entire suite. This allows for the integration of preferred supplier lists from SAP Ariba SLP to SAP Ariba Sourcing and to Guided Buying, augmenting SAP Ariba Contracts with SAP Supplier Risk information all while having a single unified record that is kept in-sync with your back-end ERP systems. So let’s see how all these fit in together in an generic Invoice process in SAP Ariba solution(s). And the flexibility+ agility these 3 pillars provide to our customers. You can get more technical details on these 3 pillars via https://Connect.ariba.com. 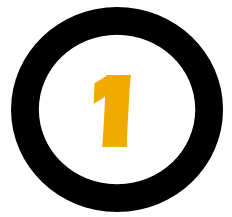 Visit my other blogs to gain more perspective on specific integration solution at SAP Ariba. Can’t wait for a better supplier integration scenario! The BSAO is waaaaaay to basic and buggy!